Question: If a person has no contact with bhakti or devotees, can one also commit offense even with a different concept of God in another religion? Answer: Everyone can commit offense no matter where he or she lives or which concept of God that person may have. Just read the list of offences and you can understand that some of them can be committed anywhere. Offenses can be committed even without having knowledge of them, just as one can commit a crime or break a rule although one may not have knowledge of it. Question: Prīti Sandarbha explains that Kṛṣṇa always comes with His specific set of devotees and some of these can also expand like Kṛṣṇa and enter into a qualified jīva of this world (Devaki, Yaśodā, Nanda, Pradyumna etc.). When these jīvas become perfect, do they still descend together with the Lord in future? His entourage would keep on increasing, which is not the case. Can all nitya siddhas expand in this way and sādhana siddhas cannot? Answer: His entourage is in fact increasing because his śakti is increasing, but it is also infinite. So even if the infinite is increasing, it still remains infinite. These perfected jīvas come along with Him. It is not that Kṛṣṇa is coming down to this material world from somewhere. When it is said that He descends with His own abode, it means that He makes Himself visible to our eyes, and His associates are always with Him. So if some jīvas get liberated and join Him, it doesn’t really make a difference. 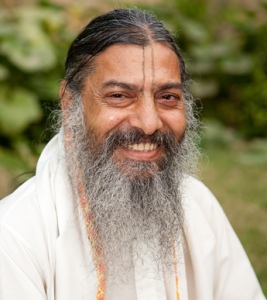 All siddhas can expand, no matter whether nitya-siddha or sādhana-siddha. Question: In the Purañjana story, when Queen Vaidarbhī wants to commit sati, the brāhmaṇa appears and gives her transcendental knowledge to stop her from doing this out of attachment for her husband. In the story of Pṛthu Mahārāja, when his wife Arci commits sati, all the demigoddesses shower flowers upon her and praise her for her chastity and devotion to her husband. What is the difference in these stories and why is one wife praised and not the other? Answer: The Purañjana story is an allegory, which is trying to teach the difference between body and soul. There, Purañjinī is the buddhi, and her husband is the ātmā. 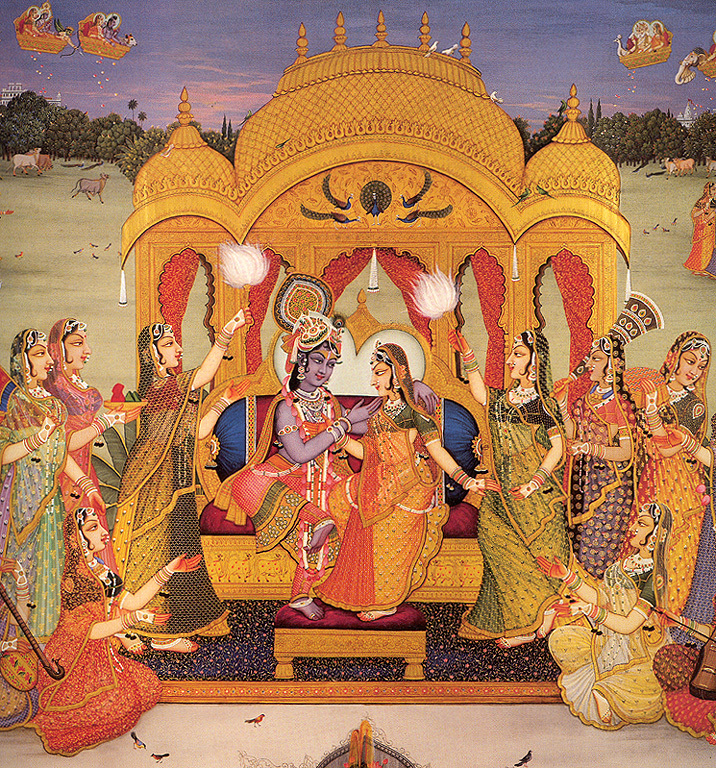 The story of Pṛthu Mahārāja is a real story that depicts the love of a wife for her husband. The purpose of these two stories is different. Moreover, Pṛthu Mahārāja was a great devotee and śaktyaveśāvatāra, so it is appropriate for Arci to follow him. On the other hand, Purañjana was a materialist and Purañjanī’s love for him was just material attachment. So the story highlights that.